Safety / How do I dress my baby for cold or warm weather? How do I dress my baby for cold or warm weather? How many layers of clothes should I put on my baby? This is a very common question among parents. Sometimes we don’t know how many layers use and we end up putting on more or less. So, what’s the general rule? The American Academy of Pediatrics suggests that we should dress our little ones with one additional layer of clothing than what we’re wearing, when we’re in the same environment. If your baby was born premature or underweight, he is likely to require one more layer to keep warm. The sun is out and the temperature rises. We begin to feel hot, and not only us, our children too! It is important to avoid covering them with more layers than necessary, because it could lead to overheating. Dress your little one in light clothing and remember to protect him from the sun. Try not to go out between 10:00 am and 4:00 pm, when the sun is stronger. If you have to go out during that time, dress your baby with a light garment that covers his arms and legs and don’t forget a hat. Try to stay in the shade as much as possible and verify that he is not getting too hot by looking out for restlessness, excessive crying, and flushed skin -not only sweat! Brrr! Winter approaches. We begin to feel chilly and it’s time to cover ourselves to keep our internal thermostat happy. Babies also requires covers to stay nice and warm. It is best to use layers, following the general rule to dress him with one additional than you are wearing. 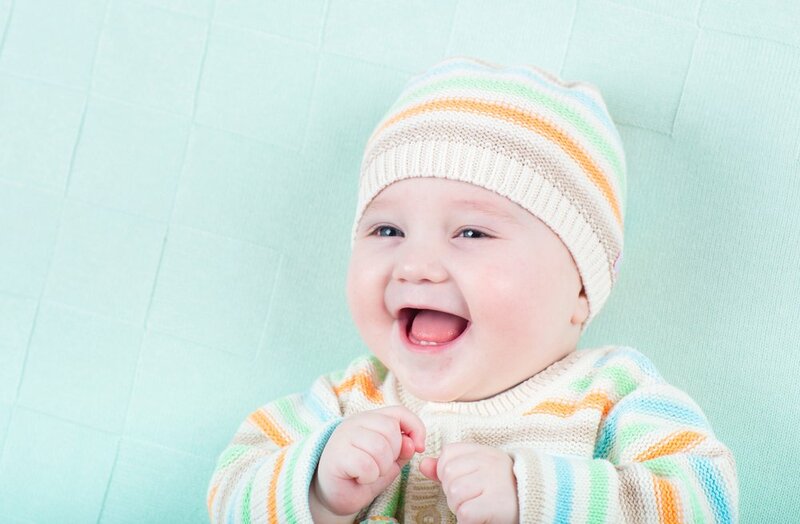 Depending on the weather, you can dress your little one with an inside shirt, romper, coat, hat, and blanket. That way, when you enter a heated room, you can easily remove heavy layers and leave him with light ones. It is very important to remove the excess layers so that your baby’s internal temperature doesn’t rise too much; do so even if he’s asleep. Flowers sprout or leaves fall from the trees, during each of these seasons, you need to be prepared for changing weather, including rainfall. So remember to carry a waterproof jacket for you and your baby. Follow the general rule and you’ll be fine! Remember that if your baby was born premature or underweight, he is likely to require one more layer to keep warm.